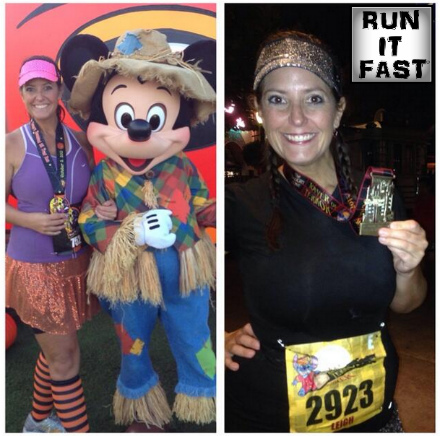 Here is the finisher’s medal from the Tower of Terror 10 Miler that took place on October 5, 2013 at Disney World in Orlando, Florida. 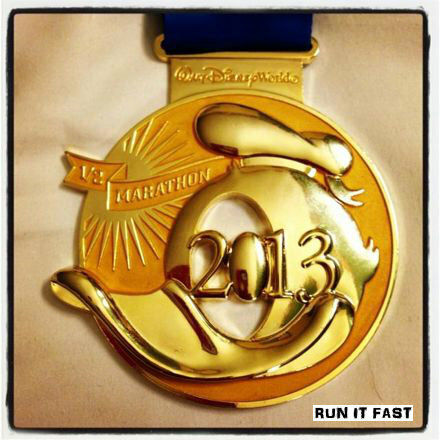 Leigh is also photographed with her Happy Haunted 5K medal as well. She ran both on the October 4-5 weekend. 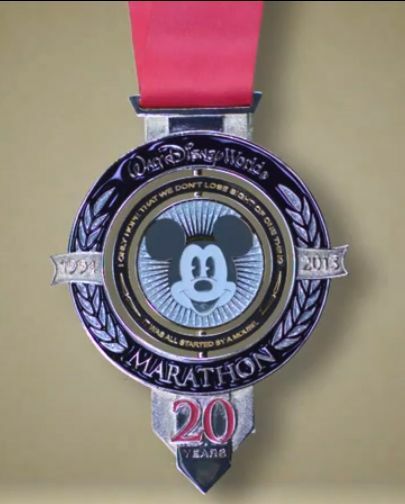 If you love marathon medals and building up your bling collection with awesome souvenirs from races then you will love the 2013 Walt Disney World Marathon Medal that was previewed today via a release video. 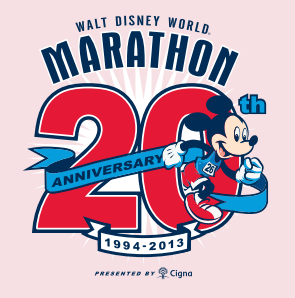 The medal celebrates the 20th anniversary of the Walt Disney World Marathon that attracts over 20,000 runners each year to Orlando, Florida. This medal seems to have it all: dual spinners, Mickey Mouse spinning head, old school Mickey Mouse spinning head, large design, strong shield like design and a thick ribbon to let it swing from your neck like an overlarge pendulum inside It’s a Small World.